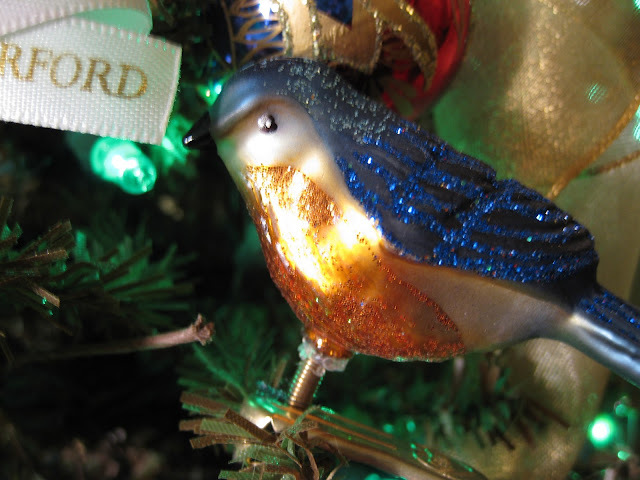 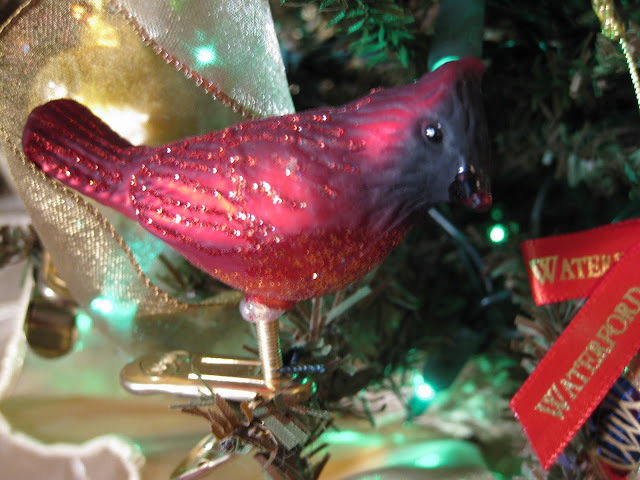 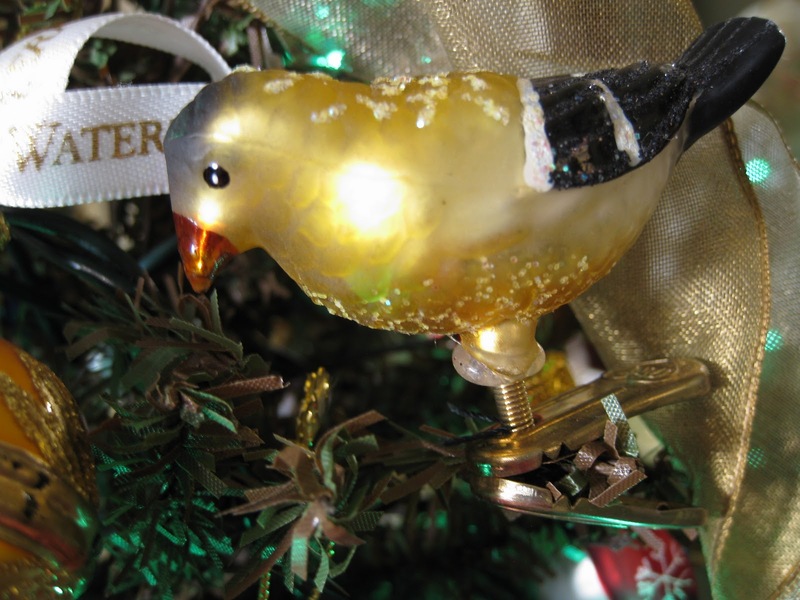 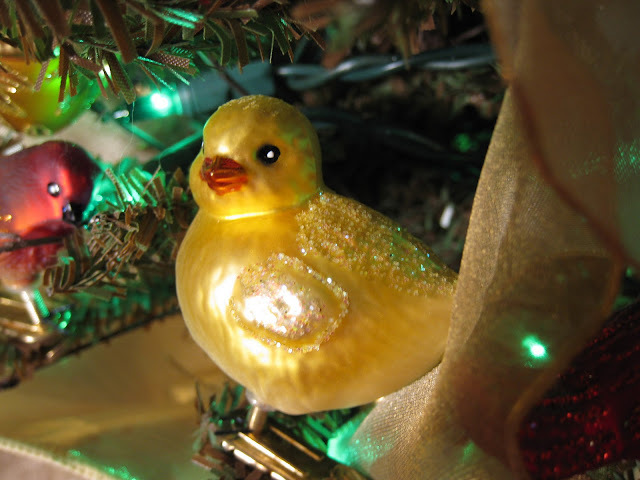 I love birds and for the past past few years I have been collecting bird ornaments. 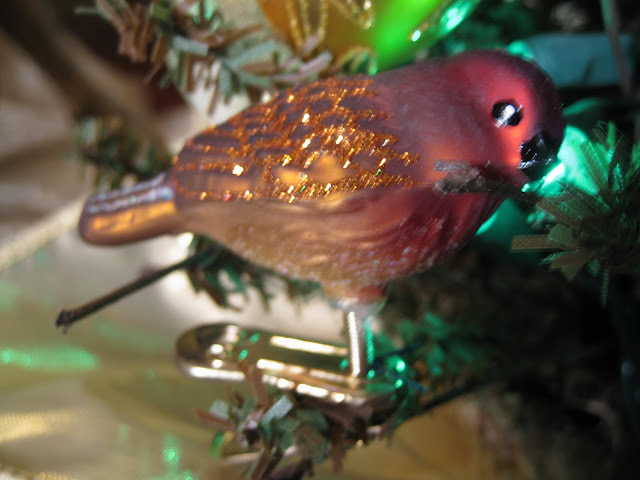 In doing so, I have found a few "little tweets" that are adorable. 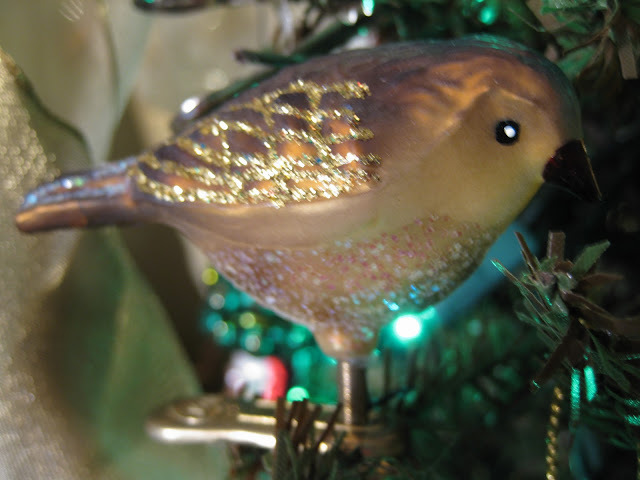 These tiny bird ornaments were lost on our big living room tree, so I have added them to a small tree that is in our dining room. 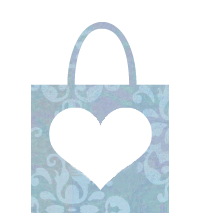 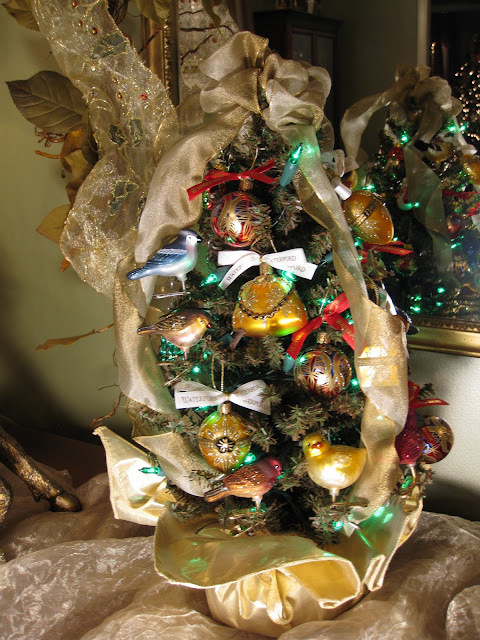 I hope you have enjoyed our sweet little TWEET tree! 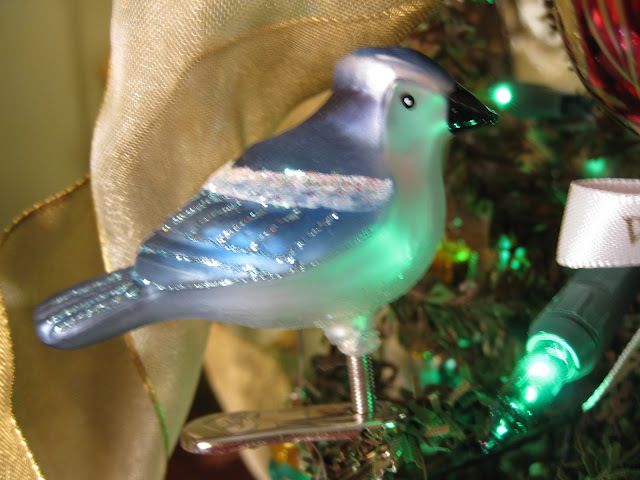 The little tweet tree is just adorable! 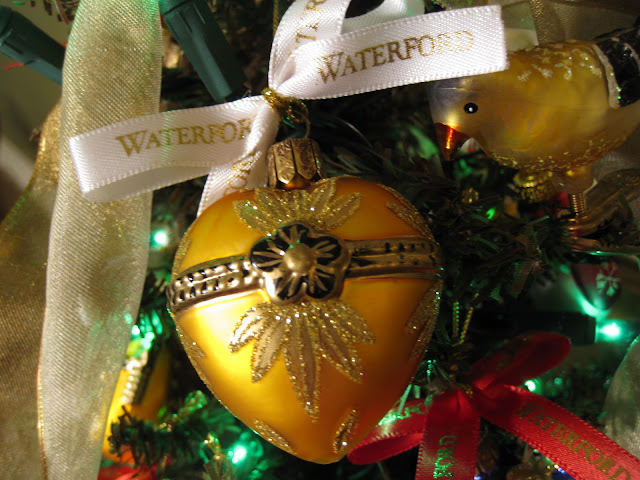 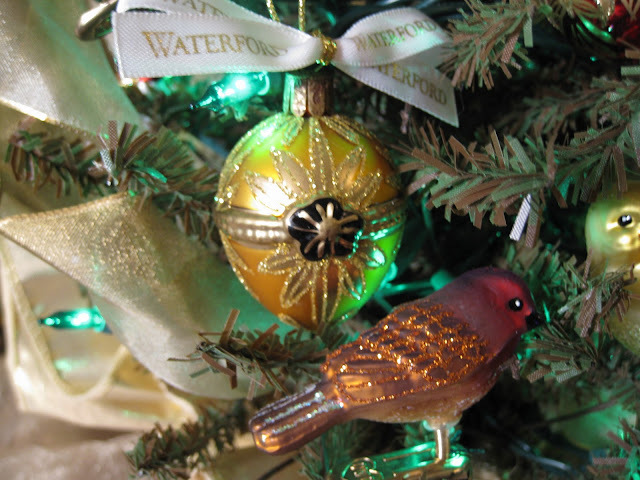 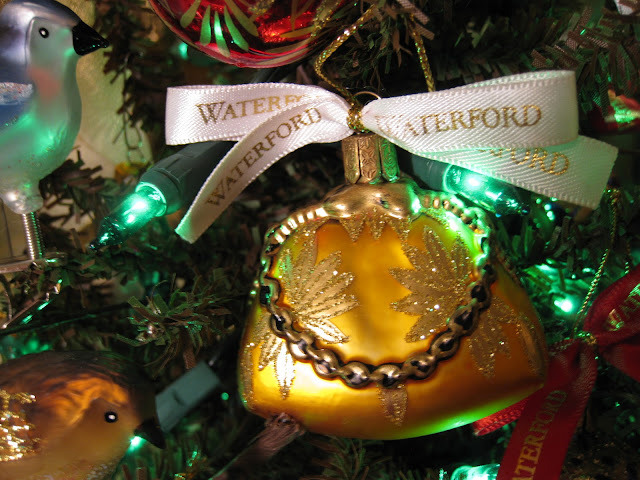 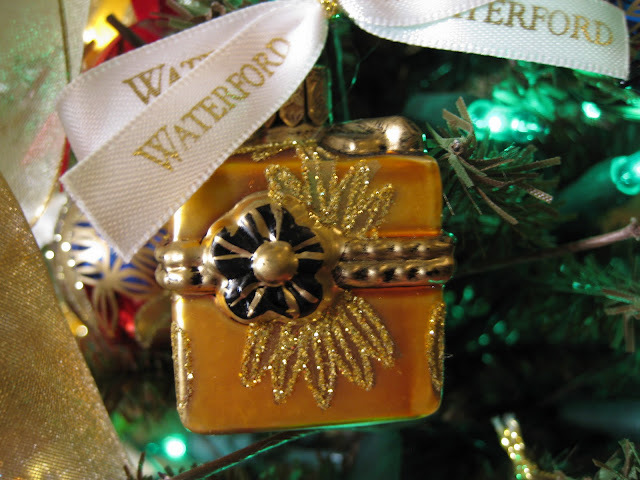 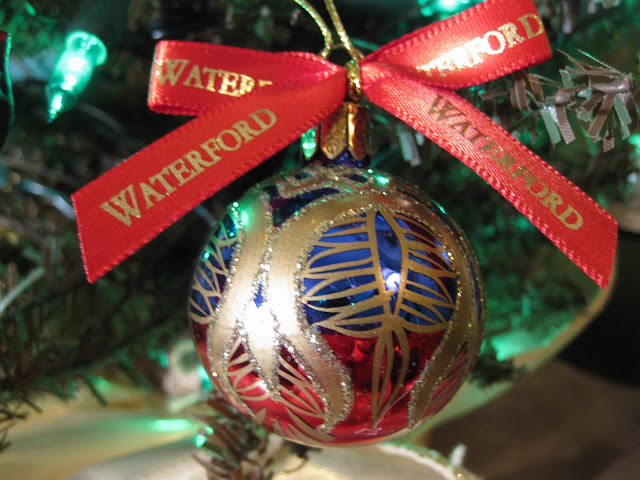 Those Waterford ornaments are so pretty! 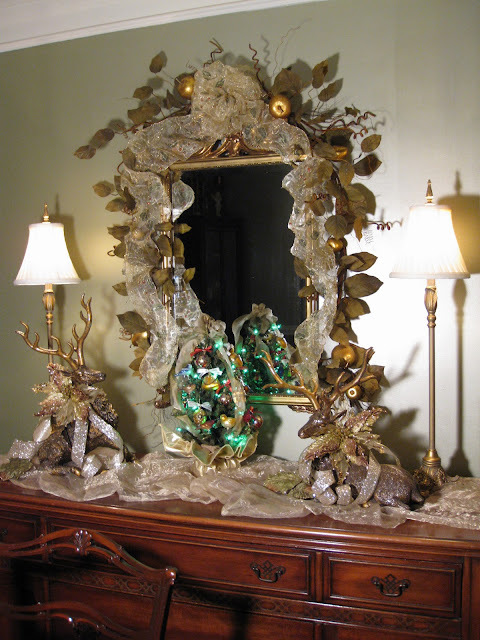 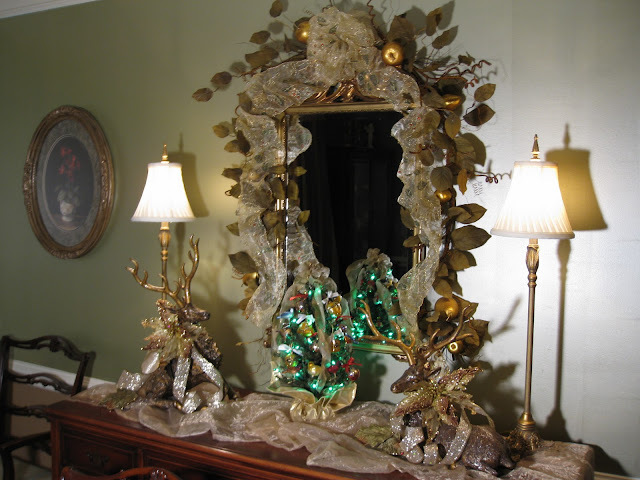 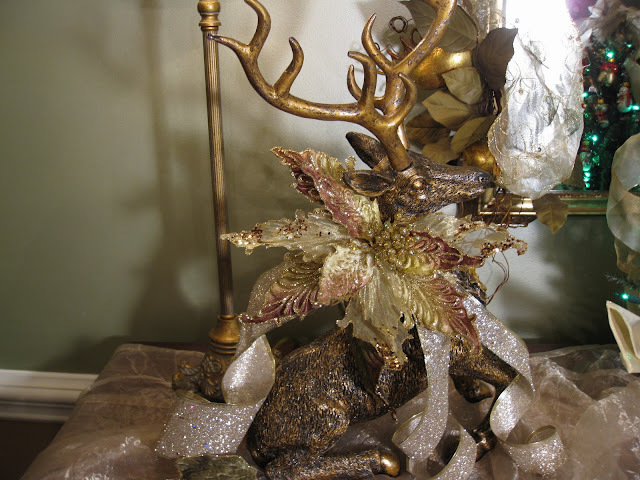 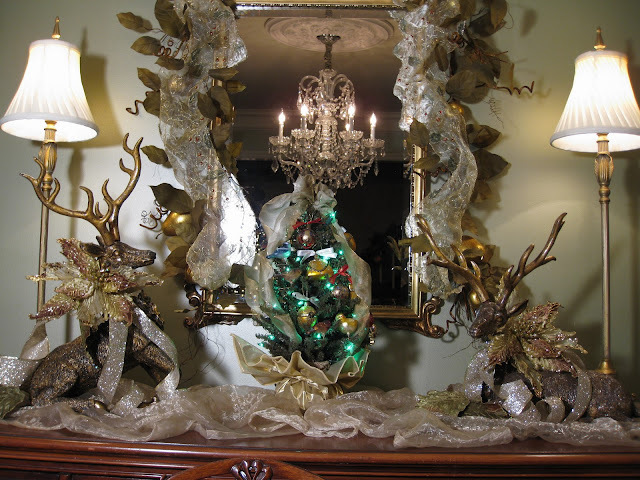 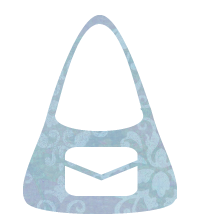 Love the elegant deer too! 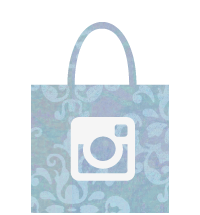 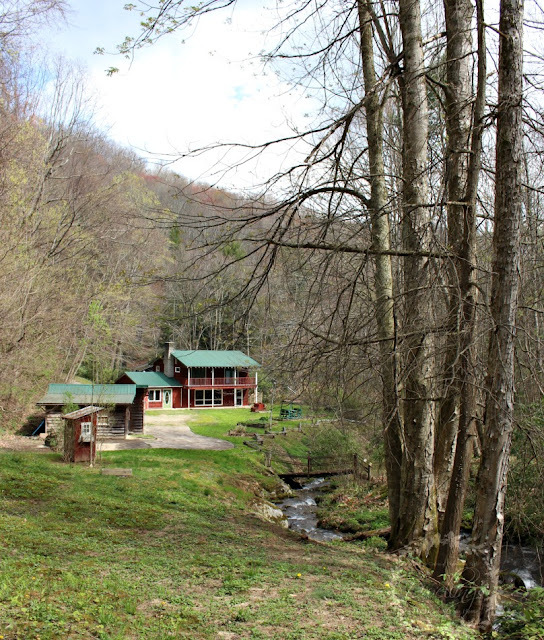 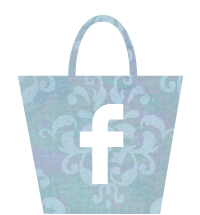 Your home is beautiful as well!! Everything looks gorgeous. 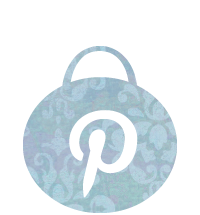 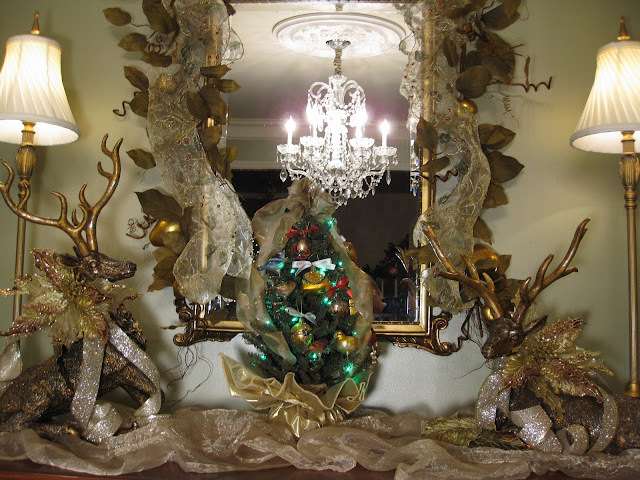 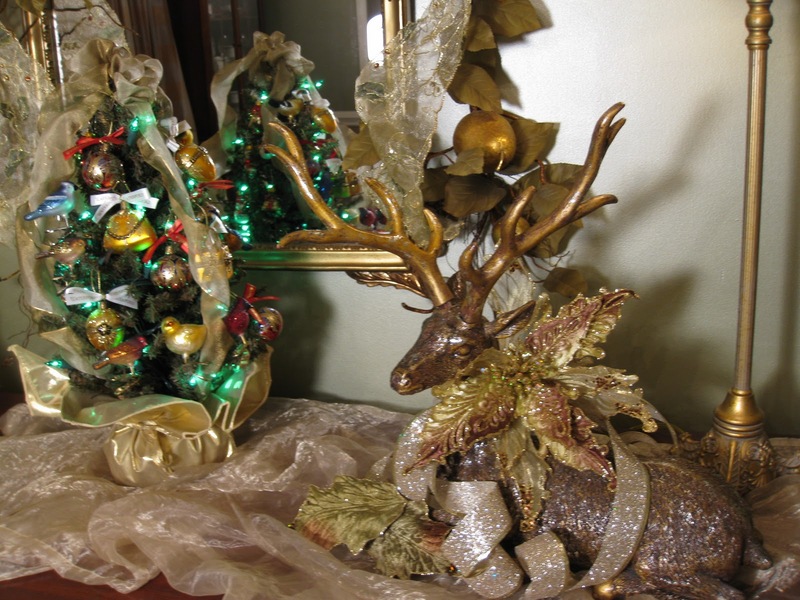 The tweet tree is precious and those reindeer are stunning! 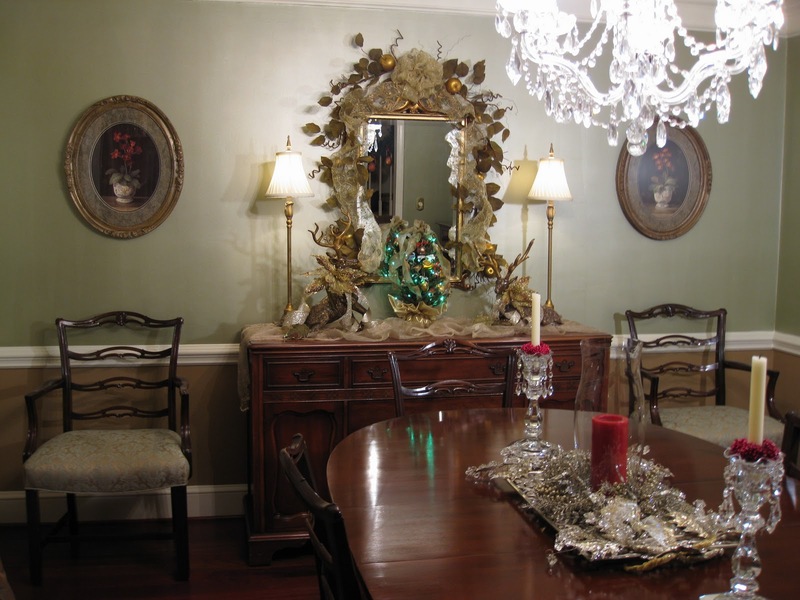 And I really love the color of your walls!